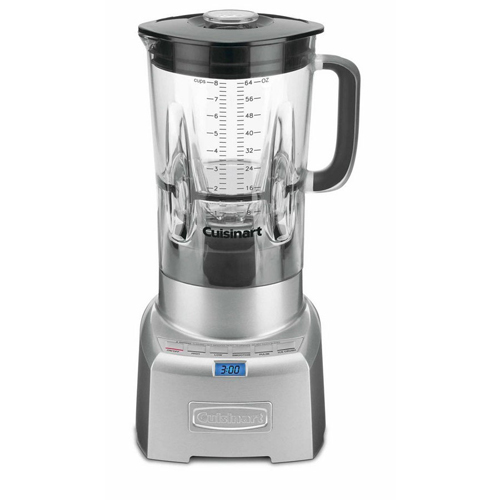 The Cuisinart PowerEdge™ 1000-Watt Blender is constructed with a heavy die-cast metal base. Features lightweight 64-ounce Bisphenol A (BPA) free Tritan™ copolyester blender jar. This is the perfect combination of high style and high tech. 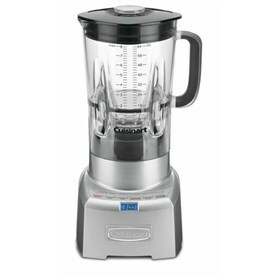 Offers pre-programmed Smoothie, Ice Crush and Pulse functions to blend smoothies, frozen drinks or crush ice flawlessly. The 1.3 Horsepower Blender Poweredge has many exciting features for users of all types. You can extend the lifetime of your 1.3 Horsepower Blender Poweredge with the purchase of a FactoryOutletStore Factory Protection Plan. The 1.3 Horsepower Blender Poweredge is sold as a Brand New Unopened Item.